An impossible murder in the fog on Waterloo Bridge. So, begins The Mask of Moriarty. 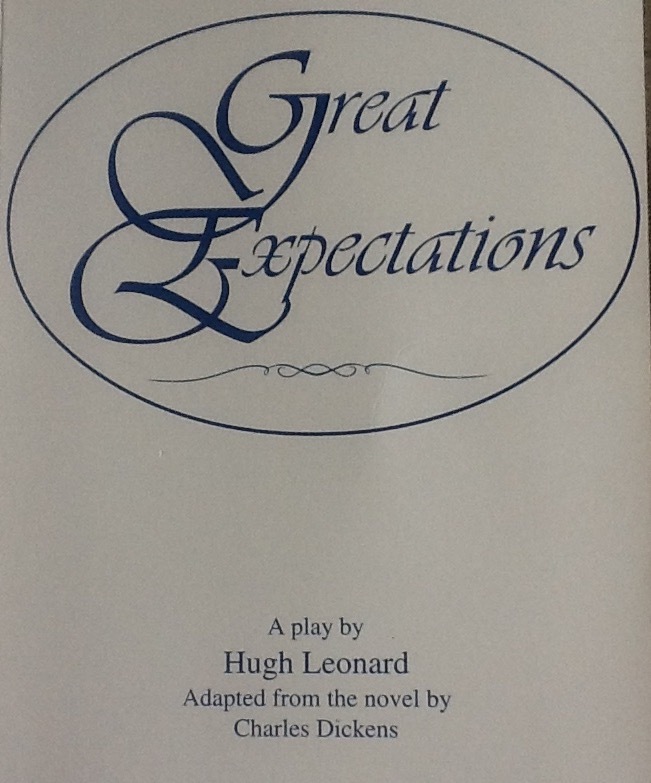 a full length play by Hugh Leonard. This Sherlock Holmes spoof is an original work by Leonard based on the characters created by Arthur Conan Doyle. In the Mask of Moriarty, Hugh Leonard brings together Holmes, Watson, Inspector Lestrade and of course Moriarty. There are multiple references to other literary figures from the period with references to Bunny Manders from E W Hornung’s Raffles stories, Dorian Gray, and (with a lapse of time) Jekyll and Hyde. While the play is a comedy, there is a genuine whodunit to solve and the mystery content is substantial. 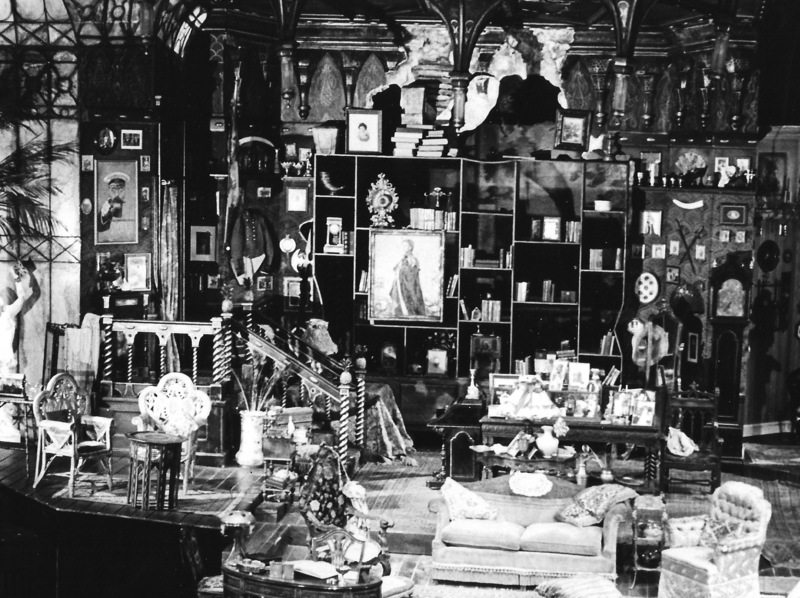 The play was commissioned by the Gate Theatre in Dublin where it premiered in 1985 with Tom Baker in the role of Sherlock Holmes and Alan Stanford as Doctor Watson. It was subsequently staged in Britain with Geoffrey Palmer as Holmes and James Grout as Watson, and at the Williamstown Theatre festival with Paxton Whitehead as Holmes. Tom Baker and Alan Stanford in the Mask of Moriarty, Gate Theatre, 1985. PICT (Pittsburgh Irish and Classical Theatre) presented the Mask of Moriarty in 2011. The play has been translated into and performed in Finnish at the Sipoo Theatre. The Mask of Moriarty was founded in a genuine affection for, and knowledge of the work of Conan Doyle: Leonard had previously adapted The Hound of the Baskervilles and A Study in Scarlet for the BBC in 1968. “Stephen D is a most difficult and intricate play, which will stand or fall depending upon its director’s imagination”, Hugh Leonard in his production note to the US edition of the script. 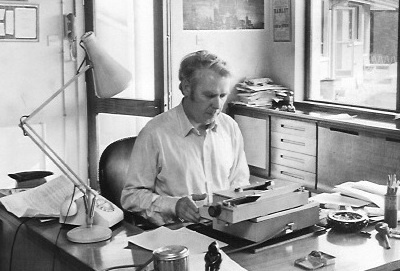 Stephen D, as described by Michael Coveney of The Guardian newspaper, was “a skilful conflation of two James Joyce works, A Portrait of the Artist as a Young Man and Stephen Hero, [it] made [Hugh Leonard] a name to reckon with at the Dublin theatre festival”. And that “The play’s construction is episodic, within a flashback framework, and there is a minimum of linking devices…. 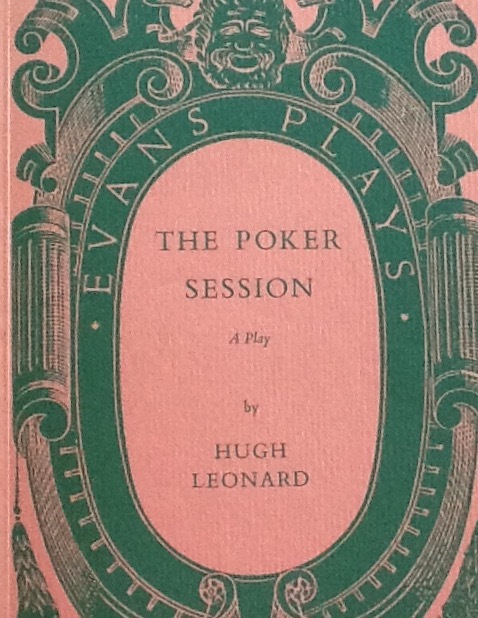 as it progresses the narrator, Stephen, steps into the action, which resolves itself into a number of longer, more sharply defined sequences.” Emilie Pine writes in The Methuen Drama Guide to Contemporary Irish Playwrights that in Stephen D “Leonard played with stage conventions and impressionistic techniques in an accessible style a format that would inform much of his own original drama in later years”. Hugh Leonard subsequently adapted Dubliners for the stage as a full-length play, Dublin 1, and The Dead for the stage as a one act play. 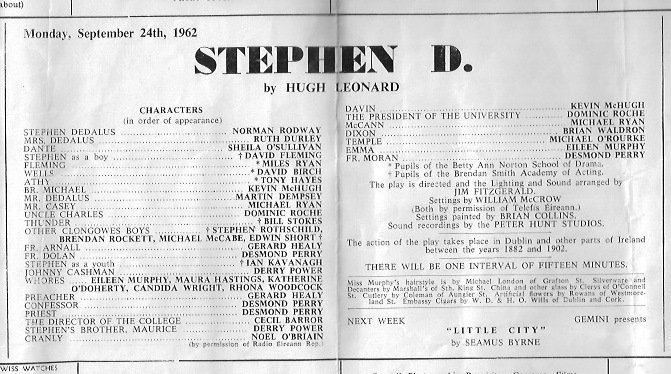 Stephen D was first presented at the Gate Theatre, Dublin on 24 September 1962 and subsequently at the St Martin’s Theatre, London, on 12 February 1963. The Dublin cast is shown in the illustration. 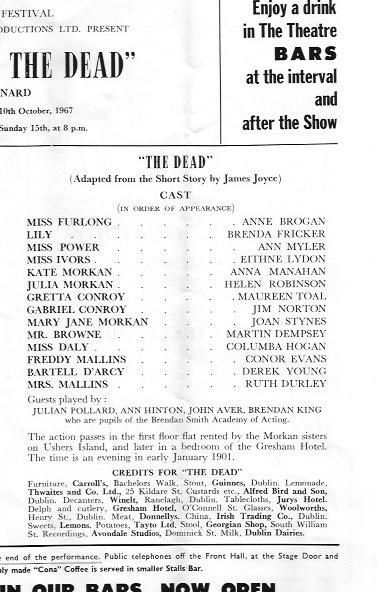 It was presented in New York City at the East 74th Street Theatre on September 24 1967 with Stephen Joyce (sic) as Stephen. Roy Scheider’s Cranly earned him an Obie for a “distinguished performance”.